4liters wrote: I haven't had any issues with the rod holders dipping forward yet. That happens when you make extensions as you are relying on DIY friction spacers as you have seperated the head cogs. Not a big issue as you dont normally change the angle of these holders much (one of the reasons the thumb adjusters seize up is because you dont use them often). You just have to cut the tube at an angke to provide a stop. In my first thread i said mo tackle was on ebay, my mistake its was otto's i was thinking. I bought some 25mm aluminum shs from bunnings after looking at suitable bolts for the modifications, i decided to just get a 1200mm length of 6mm 314 allthread after pulling the holders apart found they have a 65mm stiffening threaded screw in the shaft that fixes into the mount (glad i bought allthread ), this led me to investigate further in the better light of day which surprised me to find that the quality of the holders was hmm lets say, they look like a cheap chinese rip off, they are made from some type of polypropylene but without a fiberglass or similar fill, I'm somewhat disappointed in the construction but the design is perfect. I've replaced all the bolts as they were ms, with 314 ss. Has anyone else had similar thoughts about these holders? I've been wanting to get a full dry suit that fits me well, but there's not much available in Aus. So I took a 1 hour train ride from London up to Northampton to a chandlery that had a few on sale. I ended up getting this one, including the Wooly Bear and 60L dry bag. 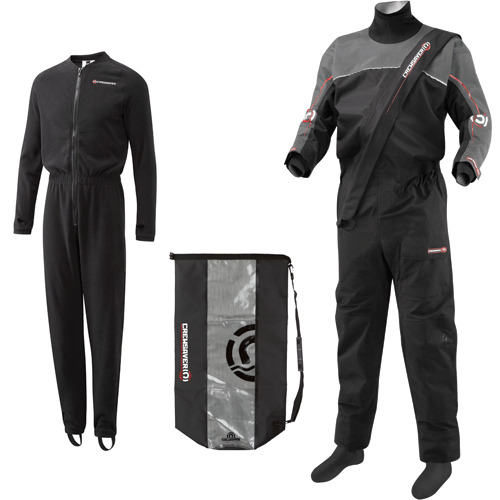 Normal RRP £399 reduced to £245 then another 10% off for Black Friday sales, so under $400, which is pretty good for a drysuit. Now I just need to fit it into my luggage. -6C here in Oslo today. I probably should have worn it . Shout out to Maverick, who a couple of months ago shared the details on Facebook with the guys who sorted him out with his vinyl decals for his new compass. Ever since I've been thinking of what to get and then, when my green and white stealth arrived I realised what it had to be - the red Dragon of Wales to finish off my national flag.